We are available to assist with discipline-specific research services, in-depth research assistance and classroom instruction. Subject librarians are liaisons who serve as the primary contacts between the library and an academic department, program or a group of scholars with special research needs. 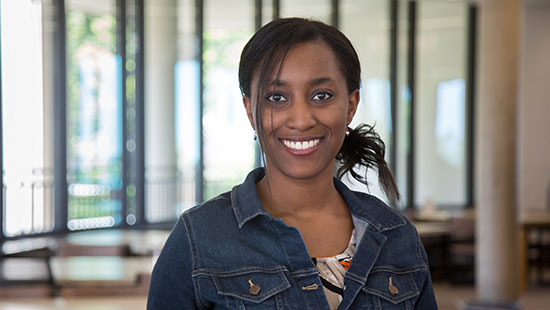 Subject librarians offer numerous specialized services, including discipline-specific research consultations, information about scholarly communication topics, customized instruction on library resources, and general information on library services. They also develop and manage specific subject collections, and may be contacted directly for questions or purchase suggestions. Faculty can borrow most circulating items for the entire academic term, and staff can borrow for 16 weeks; items from the Mitchell Multimedia Center and Reserve have shorter loan periods. Our circulation services for faculty include delivery to Evanston campus offices for full-time faculty and delivery via email of scanned book chapters and articles via interlibrary loan. A research assistant doing research for a faculty member may also be assigned proxy borrowing privileges on the professor's behalf. 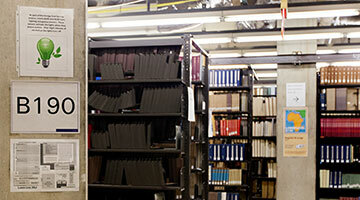 Course Reserves: help lower course costs for students by setting aside textbooks and DVDs for class use. You can also make articles, books excerpts, and streaming media available through Canvas. 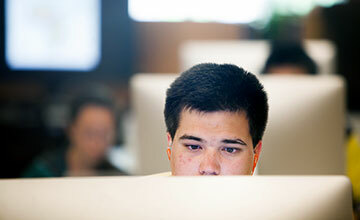 Visit the link or contact e-reserve@northwestern.edu to get started. Open textbooks and e-textbooks: work with us to find free, high-quality open textbooks and other open educational resources for your course. Interlibrary loan: the Libraries offer Interlibrary loan, which gives students the ability to borrow books (including some textbooks) and other materials from other libraries completely for free. Inform your students by including this information on your Canvas site and in your course syllabus. Visit the Affordable Instructional Resouces (AIR) site for more information on these and other affordability initiatives on campus. Regular reserve allows your students to check out class materials from a central location for a short period of time. Similarly, eReserve provides access to digital documents, such as book chapters and articles, through Canvas. Copyright law places some restrictions on Reserve use of copyrighted material, particularly use by eReserve. For more information about the process of placing items on reserve, as well as copyright restrictions, see Reserve Information for Faculty. 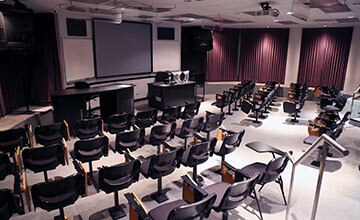 Utilize the self-service A/V recording studio to easily record your presentation, lecture, or instructional video. No A/V experience necessary. 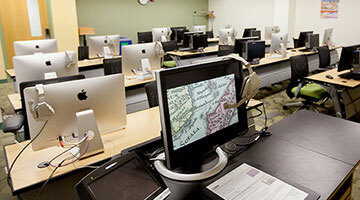 The Library's Reserves department will create media streams for University classes and other programs for faculty, students and staff. These streams can be viewed or heard on Canvas course sites. CDs, LPs, audio cassettes, VHS, DVD, Blu-ray, DV and laserdiscs can be converted. Learn more and submit a request. 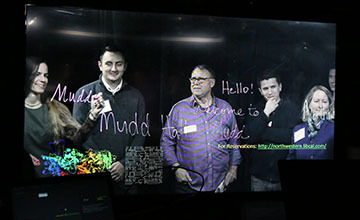 Video and computer projection available at Mitchell Multimedia Center's video viewing rooms. Visit the Mitchell Multimedia Center webpages to reserve these rooms, or to take advantage of services such as "Start and Stop" media screenings if you are unable to attend a screening. Repository services, copyright guidance, data management planning, open access publishing and more. 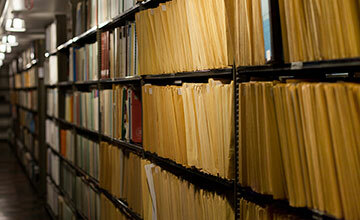 We provide training and technical solutions for conducting, preserving, and sharing your research. 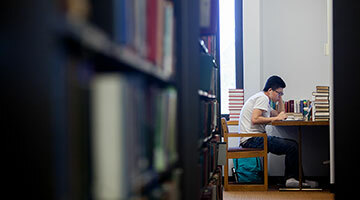 Study carrels, both closed rooms and open desks are available for current faculty, with assignments are made for the academic year and for Summer Session. Learn about the application process.